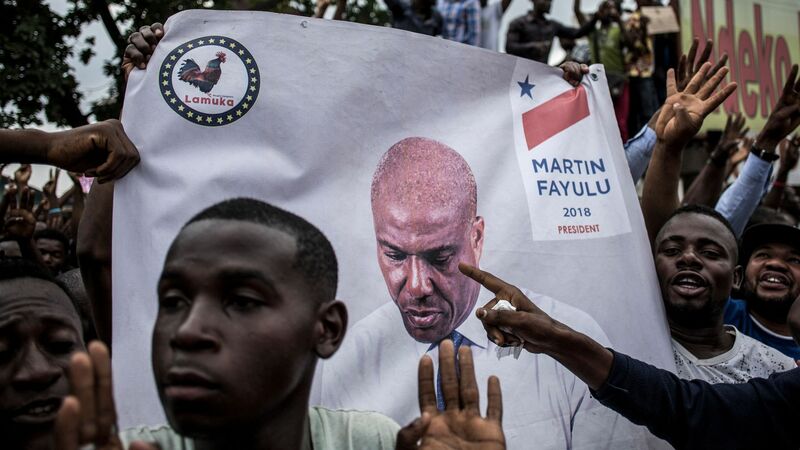 Martin Fayulu, the former Exxon executive who election observers said won the Democratic Republic of the Congo’s presidential vote in December, says longtime president Joseph Kabila is still "holding the reins" despite having officially stepped down. Speaking today at the Center for Strategic and International Studies in Washington, D.C., Fayulu said Tshisekedi had struck a "secret deal" with Kabila that gave him the presidency and the country a "complete defeat of democracy." Fayulu said he’s also refusing to meet with Tshisekedi, who will be in Washington this week, because Congolese people would think he was being "bought." What he’s saying: "The Congolese people understand that they have been sold out and ... that this is simply a new extension of the Kabila system, a system that was not able to bring solutions to the people for 18 years … and is certainly not going to be able to do so under a president in name only." "Mr. Kabila certainly does not want Mr. Tshisekedi to succeed where he failed. They will both be looking to have an unstable balance ... and it will of course be the Congolese people who will suffer the most." The bottom line: I asked Fayulu how Kabila could be convinced to give up the reins. He said the first step, ensuring he was off the ballot in December, was accomplished. Now, he says, "you have to let the truth of the elections be known." Fayulu said a "compromise solution" would then be possible, but "under this compromise, Kabila would have to leave completely."